To paraphrase the song from Pinocchio, it’s “a Disney life for me” when it comes to Oscar-nominated and Emmy winning composer John Debney. His life and career, connected with Disney since childhood, has included music for Disneyland park and Walt Disney World Resort. John fell in love with music, and has many Disney films and TV shows to his credit, including “The Princess Diaries” and “Hocus Pocus” (the music of which can be heard in the “Hocus Pocus Villain Spelltacular” show at Mickey’s Not-So-Scary Halloween Party). His latest work is the highly acclaimed score for Director Jon Favreau smash version of Disney’s “The Jungle Book.” John and Jon are such fans of classic Disney; the score even includes portions of George Bruns’ score for the 1967 animated film. 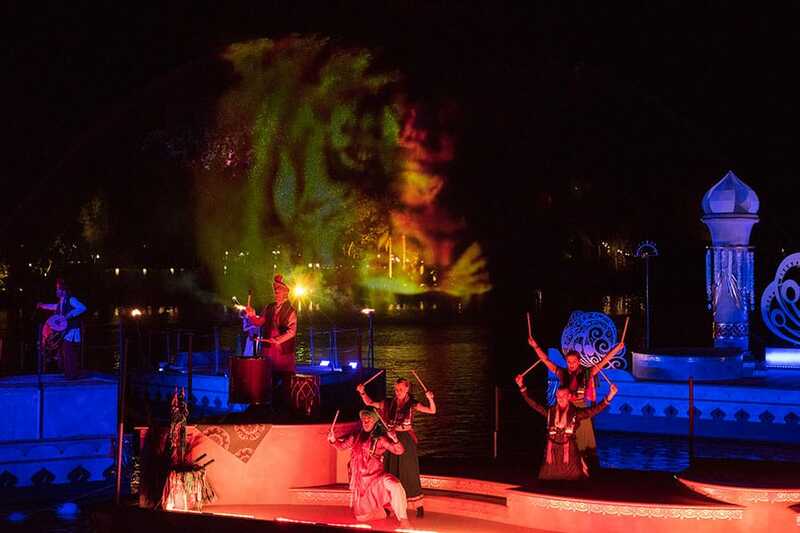 And now, selections from John’s music will be heard in the Disney’s Animal Kingdom nighttime show, “The Jungle Book: Alive with Magic.” I asked John about his latest score and lots more in a recent interview. 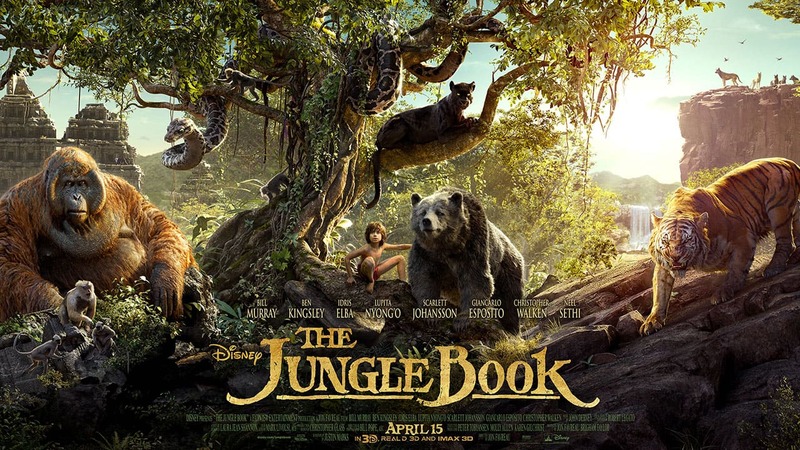 GREG EHRBAR: It must have been extraordinary to have the classic “Jungle Book” score put into your hands–but it’s not the first time you had to take a Disney score and reimagine it. One of your projects I most admired was your work on the music for Disneyland Fantasyland in 1983. JOHN DEBNEY: I was working at the studio at the time. Once I got out of college, I was lucky enough to get a job in the music department at Disney. One of my earliest assignments was to create music for the theme parks, including Epcot some time later. One of the very early Disneyland things I had the pleasure of doing was Fantasyland. I worked on everything from Peter Pan’s Flight to Mr. Toad’s Wild Ride and the Mad Tea Party. I even did Casey, Jr. I’m happy to say that most all of those tracks are still playing. It’s a real joy to walk around Fantasyland and hear these wonderful tracks from my childhood. I was working with [Composer and Disney Legend] Buddy Baker and all the great people who were working at the studio at the time. GREG EHRBAR: You also worked with two other Disney music experts, Les Perkins and Stacia Martin. I heard that, for the Alice in Wonderland attraction, you had to reconstruct the score from scratch because the original materials had been lost. JOHN: That is so great! What a great thing for you to bring up! Yes, back then, interestingly—and sadly—some of the older original scores were long gone. Some were only on microfilm. In the case of “Alice,” there had been some water damage. I ended up, in some cases, literally taking down different cues or reconstructing them from piano sketches for a lot of that score. That was a real joy and a challenge. A real labor of love. I’m so lucky that I was the one that did it. One interesting footnote–there were still some very, very vibrant musicians with us who had actually played on the original film soundtrack. I tried to hire as many of them as I could. That was really fun because these great players–like Art Smith, a legendary woodwind player of his day–was at the tail end of his career. I was able to get most of them to play the music that had done for Alice and it was a real joy for them to revisit that score 30-40 years later. It was surreal for them. They brought out all those strange instruments, like ocarinas and things. I also hired some of the same singers. A lot of them were still working, or nearing the end of their careers. GREG: Yes, one of them was Gene Merlino, who we profiled in our book, “Mouse Tracks: The Story of Walt Disney Records.” He sang on the original “Alice” and “Peter Pan” soundtracks. Walt Disney Imagineering even brought him in to sing for Mickey’s Philharmagic. JOHN: Absolutely. Gene worked with me, and Thurl Ravenscroft. A lot of the men and ladies were still working. I remember hiring ladies to sing for the tulips and some of them were the originals. I think that very distinctive contralto voice sang on the original. GREG; I’m sure you’ve heard [Disney Legend] Tutti Camarata’s version of “Alice in Wonderland” score with Darlene Gillespie. JOHN: Oh, it’s a great record! In fact, I think I referenced it quite a bit when I was working on recreating a lot of the Alice music. It is pretty amazing. [Side note: John’s Fantasyland scores are available on the Official Album of Disneyland, which is sold in many of the resort gift shops and the Shop Park app. Camarata and Darlene’s Alice album is available on iTunes]. GREG: Didn’t you also write SpectroMagic? JOHN: I wrote that with a friend of mine, Steve Skorija–a legend. We kind of “wood shopped” it together. He came up with lyrics, as I recall. Who knew it was going to play so long? GREG: It was so classically Disney. JOHN: Thank you. That was by intent. They probably hired me knowing that it was something IT was very near and dear to me. The fact that it played for about 20 years is unbelievably wonderful. That it gave so much joy to so many people, it’s mind blowing. GREG: Well, a lot of movie and TV music fans, as well as Disney fans music fans, are really glad to see that you’ve received a lot of recognition for “The Jungle Book” after all the years of great work you’ve created. JOHN: Thanks, Greg. You know, you work so hard and if you’re lucky enough–like I am–to have a career that has gone on for almost 30 years, it’s really exciting, humbling, and every word you can imagine. To get such an opportunity to write on such a large-scale canvas–it’s wonderful all the way around and it was a great journey. Are evening hours at AK only through Labor Day or are they going to be permanent? 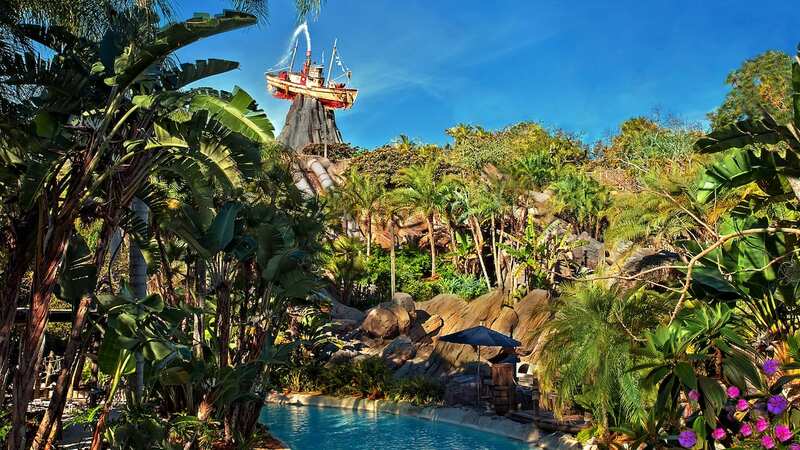 The calendar right now only shows through September 5th but I am trying to plan my visit for the end of September and don’t know if the park will be open at night or close at 5pm as it shows right now. Great article and fascinating topic—I love this!